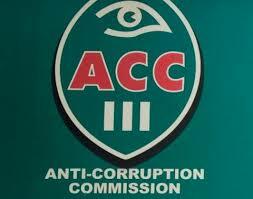 The Anti-corruption Commission in Muchinga Province has arrested a Nakonde Magistrate Court interpreter and a Chinsali Correctional Services Officer for corrupt practices. In a statement ACC Northern and Muchinga provinces regional manager Gibson Chizanda said Zebron Mathotho 43, a prisons officer of Farmers Training Centre, Chinsali and Patrick Mweshi 41, a court interpreter at Nakonde magistrate’s court of Wulongo Village, in Nakonde have been respectively charged with one (1) count and two (2) counts of corrupt practices by Public Officer, contrary to section 19(1) of the Anti- Corruption Act no. 3 of 2012. Chizanda said details in Mathoto’s case are that on dates unknown but between 1st April 2016 and 30th March 2017 in Isoka district, Muchinga Province, being a public officer, then serving as officer-in-charge at Isoka correctional facility, corruptly received K4, 000 cash gratification as an inducement or reward to facilitate the release of Andrew Nelson Simundi from the facility before he completed his jail sentence. He said Mweshi has further been charged with two counts of forgery of court orders for bail pending appeal, contrary to section 342 and 349 of CAP 87 of the Laws of Zambia and two counts of uttering false documents contrary to section 352 and 349 of CAP 87 of the Laws of Zambia.